With more than 50 years of dairy making experience we are more committed than ever to serve your community. For those who believe that cream cheese on a bagel is almost a fundamental right, here’s how we made it happen. Our lactose-free, organic milk journey begins with a bit of a surprise - it actually all started with goats. For a long time, and to this day, we’ve been one of the nation’s leading goat milk dairy pioneers. Why goats? We’re glad you asked. 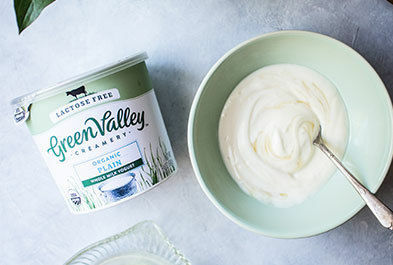 At the heart of Green Valley Creamery lactose-free dairy products is the renowned goat dairy and creamery that started a movement towards clean dairy made with wholesome and delicate goat milk – Redwood Hill Farm & Creamery. Located in beautiful Sonoma County in Northern California, Redwood Hill Farm & Creamery was founded by Jennifer Bice in 1968 and is known for its delicious goat milk yogurt, kefir and artisan cheeses. Jennifer’s farm is populated by 300 goats, all individually named, who trot right over to her when she calls. A master cheesemaker and expert goat breeder, she has been making award-winning goat milk dairy and cheeses for decades and runs our creamery to this day. What this means is that, over the years, she and our team have gained a lot of experience making delicious dairy for people with sensitive stomachs and specific digestive needs. Our goat milk dairy could be consumed without worry by many of our customers – except those who are truly lactose intolerant. 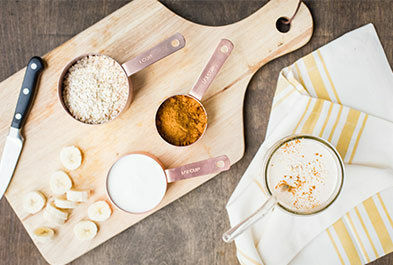 Out of a deep commitment to delicious dairy, which is such a beloved food in the American diet, we felt inspired to create a few lactose-free cow milk products in 2010 – starting with yogurt and kefir, and later sour cream and cream cheese. 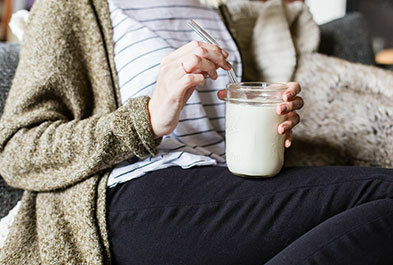 When you start out with lactose-free milk, it takes a careful approach to culture it into traditional yogurt and cream cheese. That’s when our expert knowledge of how to handle goat milk came in handy, which is much more delicate than cow milk. Working with local family farmers whose organic dairy cows graze the lush pastures of the Green Valleys in Sonoma County, Jennifer had a plentiful supply to make her idea a reality on the grocery shelf. 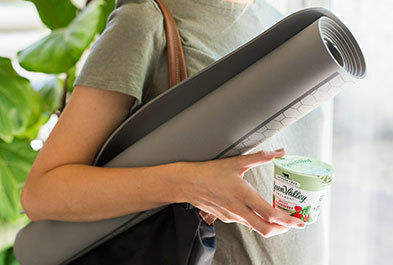 Bringing back the joy of dairy into people’s lives has always been our motivation and this is how the journey of Green Valley Creamery lactose-free dairy began. 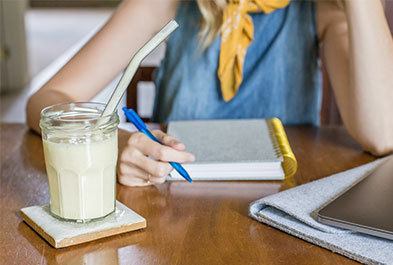 There are more lactose-intolerant and lactose-sensitive people in America than gluten-free, vegan and vegetarian people combined – an estimated 30-50 million – that’s 12% of the population. It’s not a very outspoken community and most seem to have just stopped eating dairy altogether. 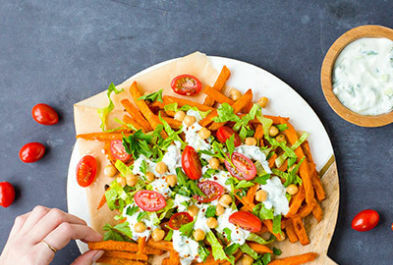 And we’re talking about dairy here – one of the most essential and iconic foods in the typical American diet! So, we set out to serve this community, your community, and bring back the indulgence and joy of real dairy to your lives. And of course we do this the way we have always been making dairy: With utmost care and respect for the animals who provide the milk, farming organically, made with clean and fewest ingredients possible, and 100% powered with renewable energy. We are so very excited to make people happy with something as simple as cream cheese. "There are a lot of people who want to eat real dairy, so I set out to bring that simple joy back into their lives." 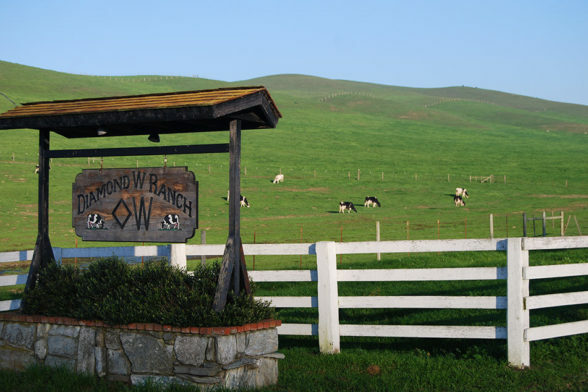 The certified organic milk we use in our lactose-free yogurts and kefirs comes from Diamond W Ranch, a trusted Certified Humane® farm in the heart of Sonoma County, located north of San Francisco along the California coast. The family who runs the farm at Diamond W Ranch has been in dairying for generations, and the farmers take great care in raising their animals and being good stewards of the land. 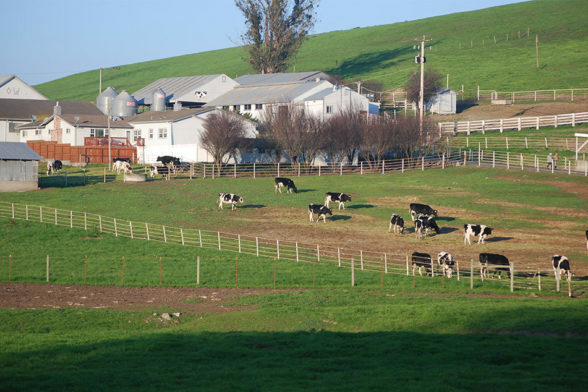 Their herd of Holstein dairy cows roams on hundreds of acres of rolling hills. 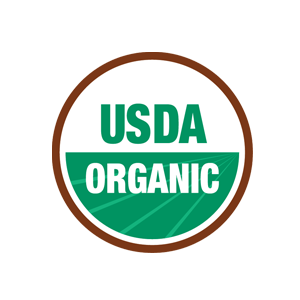 To make our lactose-free cream cheese, sour cream and butter, we source additional cream which comes from a handful of other certified organic family farms. By supporting organic dairy farmers, we ensure that the cows have quality access to pasture without the use of antibiotics or growth hormones. For decades, Sonoma County was considered the “milk shed” for the greater San Francisco Bay Area, and its deeply-rooted tradition of artisan food innovation has made the area one of the nation’s most diverse food sheds today. The Sonoma County climate, so similar to the Mediterranean with its warm summers and mild winters, offers lush, green winter pastures that are among the richest grasslands in the country. This provides the perfect nourishment for our humanely-raised dairy cows. The county’s year-round fog drip contributes to verdant grasses and provides the ideal sustenance for the world’s tallest trees: coastal California’s majestic redwoods. We believe in making really good food and we do it sustainably – by using 100% renewable energy and the least amount of water possible, by paying a living wage and by making sure the dairy animals are in the best of health in a stress-free environment. We take a personal responsibility for the well-being of the animals, the environment and the people who make Green Valley Creamery dairy products. Our personal actions are based on our values, and running a business in this manner is just a natural extension. 100% renewable energy: Our facility where we produce our cheese and dairy products is powered by 2 acres of solar panels on the roof of our creamery, which cover 85% of our energy needs. The remainder is sourced through Sonoma Clean Power, ensuring that 100% of our energy needs come from renewable sources. Preserving resources: We have an extensive water conservation and water reclamation program at the creamery. This is particularly important in a time of severe drought for California. Any opportunity we get to make our facility more sustainable, we use: from extensive recycling, insulation, eco-sanitizers, sensor lighting, to repurposing scraps from production and whey for animal feed. Animal welfare: The family farms that we source our organic milk from must be Certified Humane® by Humane Farm Animal Care and we work closely with our milk producers to ensure all standards are met and the animals are in good health in a stress-free environment. People: Our employees all start employment at a living wage. We have a generous benefits package for all employees including full family health benefits. Employees stay with us for a long time; one of our oldest employees just had his 20th anniversary, and has worked his way up from being an exchange student at the farm to becoming our VP of Operations. They must have access to pasture, and are never treated with antibiotics or hormones. Their feed must be non-GMO and grown without the use of herbicides and pesticides. And no antibiotics or growth hormones can ever be used. Humane Farm Animal Care Program means a good life for cows: a nutritious diet free of antibiotics or hormones, appropriate shelter and resting areas, sufficient room to roam and the ability to engage in their natural behaviors. 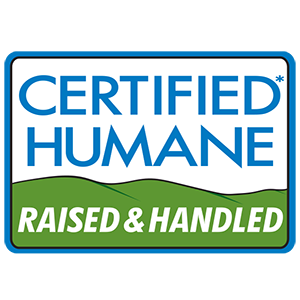 Certified Humane® is a food product label awarded by an organization called Humane Farm Animal Care® (HFAC), an independent, third-party certification organization based in Virginia. Founded in 1998, Humane Farm Animal Care® set out to improve the lives of farm animals in food production by driving consumer demand for kinder and more responsible farm animal practices. The animal welfare standards for Certified Humane® are created by a Scientific Committee comprised of 36 scientists and veterinarians from all over the world. Animals must receive a wholesome nutritious diet free of antibiotics or hormones, obtaining the majority of their feed by grazing on pasture. Dairy cows can never be treated with rBST hormones and must be raised with shelter, resting areas and space that are sufficient to allow freedom of movement and to support their natural behavior. Animals must be handled with care and in a manner that imposes the minimum stress, including a quiet environment (cows are sensitive to noise) and a slow, comfortable pace. Milking must meet the highest standards of hygiene and must meet all other HFAC standards.